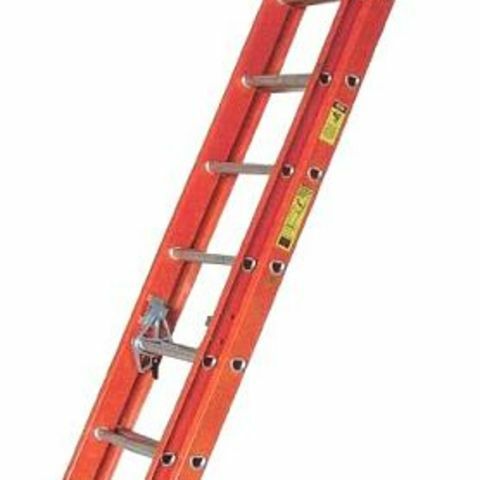 Non-conductive fiberglass rails make this extension ladder rental a smart choice for working around electricity. Non-conductive fiberglass ladder rentals are ideal for electrical work. Non-conductive fiberglass rails make this 16 foot extension ladder a smart choice for working around electricity. 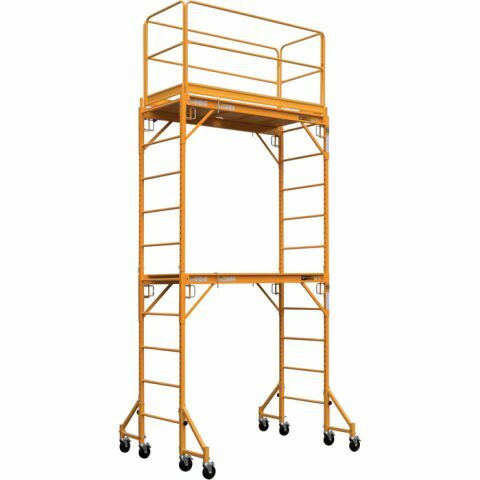 This ladder rental has a Type IA safety rating and duty rating of 300 pounds. Inspect the work area to identify any electrical lines or service that may constitute a danger. DO: Always face the ladder; never ascend or descend a ladder rental facing away from the rungs. DO: When it comes to proper ladder rental angle when in use, consider OSHA's "rule of one quarter" and make the horizontal distance from the ladder's feet to the wall the ladder is resting against -- or a resting/contact point such as an eave -- about one-fourth of the ladder's height or working length. 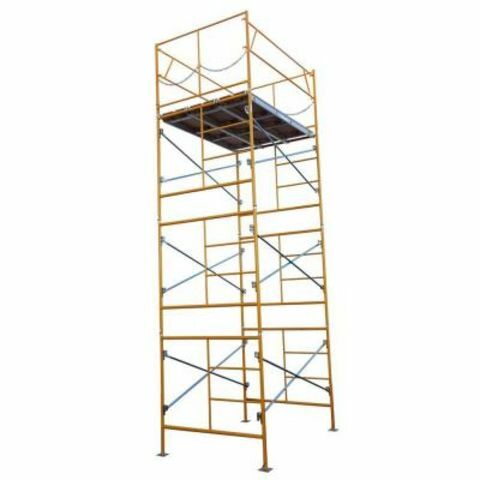 For example, if your working height is 12 feet, the feet of the ladder should be about three feet away from the wall or resting point. For access to an elevated work surface, extend the top of the ladder three feet above that surface or secure the ladder at its top. DON'T: Carry tools in your hands as you ascend or descend the ladder. Use a tool belt, or raise tools up using a hand line instead.